Many marketers focus their efforts on acquiring and converting more leads but fail to acknowledge that their current customer base is just as valuable when it comes to fueling business growth. Investing in customer retention can not only save you time and resources in the long run, but it can also lead to an abundance of cross-selling and upselling opportunities when done right. Although it may not be as intuitive as chasing after new leads, it makes sense to allocate some of your marketing resources toward customer retention and engagement. After all, your current customers have already demonstrated that they favor you over your competitors and see value in what you have to offer. Reminding them that they continue to be your top priority and that you’re dedicated to helping them grow will go a long way toward improving ROI. Moreover, if you play your cards right, you can continue to nurture these relationships and open the door for both of you to continue to grow your business in unison. Thankfully, implementing a customer retention and engagement strategy doesn’t mean breaking the bank or completely overhauling your current marketing strategy. Today, we are sharing a few simple and effective tips to help you optimize your customer journey to promote engagement, retention, and growth. Customers frequently tell companies they left them for a competitor because they couldn’t wrap their heads around their product or service or simply didn’t know who to reach out to when they need assistance. Providing your customers with a solid foundation that enables them to fully benefit from what you have to offer is crucial to building a long-lasting relationship. Establishing an onboarding program can help you ensure all your customers become familiar with your offerings, know who to reach out to if they need additional assistance, and create a good impression right from the start. An easy way to make sure all your new customers are properly onboarded is by setting up an automated nurture campaign. Start with a thank you email and follow up with a series of emails with information and resources that will help them be successful. 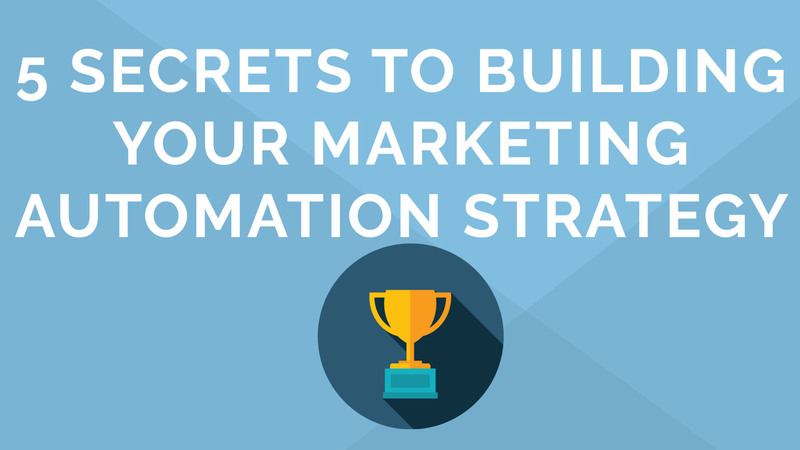 Although it may seem overwhelming to have to manage this process for every new customer that comes through the door, marketing automation can make onboarding simple and efficient. Act-On allows you to automatically segment customers and enter them into the appropriate email campaign. Once your email campaign is set up, all new customers will receive the email sequence without having to give the process too much thought moving forward. According to a customer experience report by PWC, 32% of all customers said they would leave a brand they love after only one bad experience (1). So there’s a lot at stake for companies who fail to provide customers with what they want after papers are signed. In addition to providing customers with excellent customer service when they run into any obstacles, ensuring they have a positive experience with your brand requires you to cultivate and nurture your relationship with them. Doing so involves reaching out to customers to remind them that they matter, fill them in on valuable insights, and provide them with tools to help them successfully use your product/service. A simple way to keep customers engaged is by establishing a monthly customer newsletter. This serves as a one-stop shop where you can offer resources, deliver company news, and invite customers to explore the potential to grow with your organization. The right marketing automation tool can help you track engagement so you can optimize all future newsletters to meet the needs and interests of your current customers. If your customers are truly benefiting from your partnership and seeing results, there will come a point when they need access to additional resources to support them as they continue to scale. When this moment arrives, you have to be ready to jump on that opportunity and offer them something new before they decide to ditch you for a competitor. A good way to figure out how you can help customers grow is by implementing a lead scoring program. This can help you measure the overall sentiment of your customers and gauge when to introduce them to more of your offerings. Once customers achieve a certain score and prove to be good candidates for any of your additional offerings, enter them into a nurturing campaign to prepare them for that conversation with your sales team. Never underestimate the value a peer recommendation can have in helping you close a deal. Having a group of dedicated and loyal customers willing to put in a good word for you can set you apart from your competitors and make all the difference at the final stages of the buying cycle. At Act-On, we use AskNicely to collect customer NPS scores and feedback. In addition to equipping us with valuable insights we can use to continue to improve the customer experience, this process also enables us to identify individuals who are more than willing to rave about us to their colleagues. Knowing our ambassadors enables us to nurture a relationship with them so they continue to feel enthusiastic and invested in our brand — and are ready to take a call or give a reference when the opportunity arises. Driving customer retention and expansion doesn’t have to involve hiring another staff member or putting other important marketing initiatives on the backburner. Automating your efforts with a platform like Act-On can help you easily launch and maintain a customer retention program so you can focus on maximizing your marketing ROI. We invite you to learn more about how marketing automation can help you launch a successful customer retention program by checking out our free eBook, Optimize the Customer Journey, which is also linked below.